A car accident is a frightening experience, even for the most skilled motorists. Fear of personal injury, a spike in insurance rates, and many other concerns may arise in the aftermath of such a disheartening event. Should you find yourself behind the wheel of a vehicle when the accident occurs, remember that taking these steps can help to keep you safe. Edmunds.com states that it is usually a good idea to keep an emergency kit in your glove compartment. These kits should include a pen, scrap paper, and allergy cards. If the accident is serious and you or a loved one require transportation to a medical facility by the paramedics, the allergy cards could prove to be useful. If your car is still running, and you can safely move it out of the road, ensure that you do so cautiously. The moments immediately following a car accident are hectic. Driving your vehicle out of traffic will keep you and other drivers in your area free from further harm. Check yourself, your passengers, and other drivers involved in the collision for injuries. If necessary, do not hesitate to call an ambulance or the police. A police report can help establish which driver is at fault, and that can help you in your claims process. Speak with the other driver, politely. Keeping yourself cool, calm, and collected is an essential precaution to take. Make sure all parties involved exchange vehicle information such as make, model, year, and license plate numbers. Provide each other with the names of your insurance companies and policy numbers as well. Take photographs of the accident and keep records of the location of the incident. If the police are on the scene, be sure you have the name of the officer and their badge number as well. The police officer will file an official accident report. Having this information will help get the report over to your insurance provider. Remember to protect your identity! DMV.org warns against giving your address, contact information, and driver’s license number to other drivers. You should start your claim process right away. Get in contact with your insurance provider to inquire about their steps and procedures. 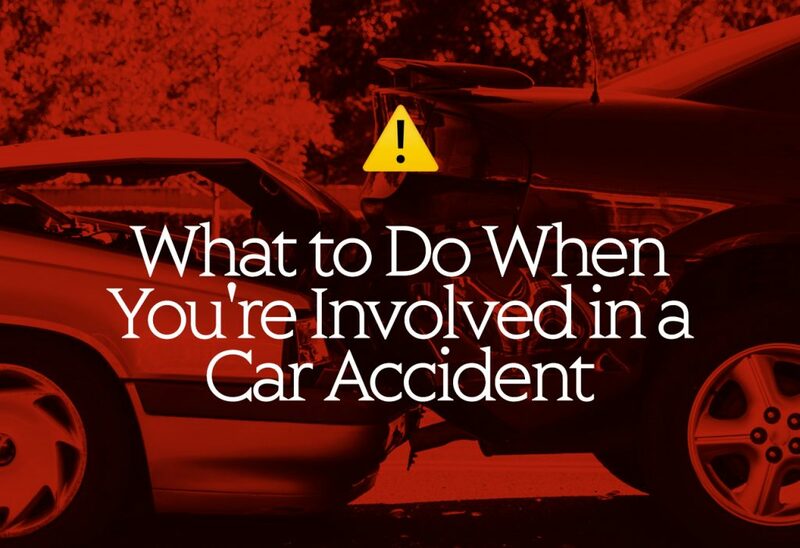 You may call them while on the scene of the accident if you wish to do so. Most insurance companies offer roadside assistance, but you’ll only get that help if you have opted for it in your policy. This coverage could prove to be useful if your vehicle is rendered inoperable and you need a tow. Nobody plans on being in an accident. If you happen to find yourself in one due to unfortunate circumstance, please remember these steps to ensure you, your passengers, other drivers, and your identity all remain safe.